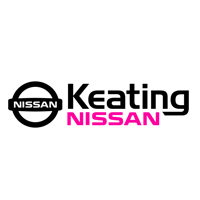 Keating Nissan shared a post. The changes aren't massive, but Nissan claims the adjustments come together to make a noticeable difference. Lots of family fun happening this weekend!! It's Easter weekend, and great events are happening all over the Houston area including egg hunts, brunches, concerts and a lot more. Another Titan sold and another build in books! Three inch lift & tires step rails & spring loaded cargo cover. It all makes this Pro4x look even more attractive!